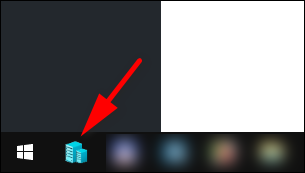 I first face the issue when I move the folder with VHDX-files to another disk. Attention! 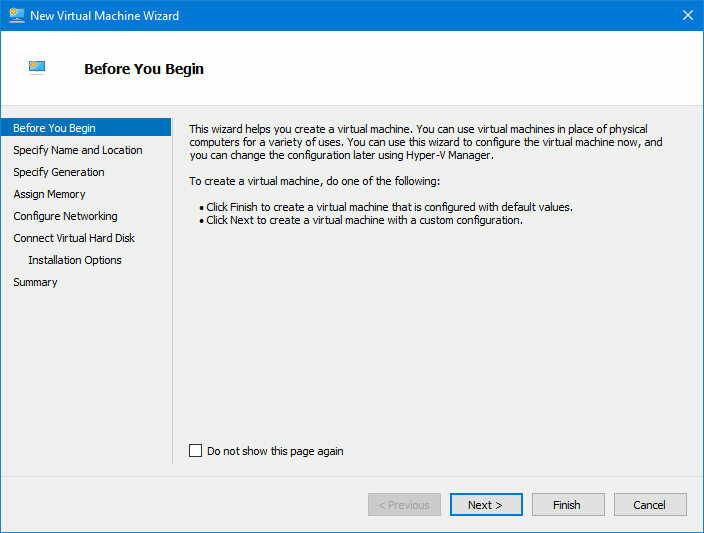 You should select the exact same option as you selected when you set up the VM for the first time otherwise it won’t work. But don’t worry – if you do make a mistake, you will always be able to create another virtual machine from a scratch and select the correct generation. 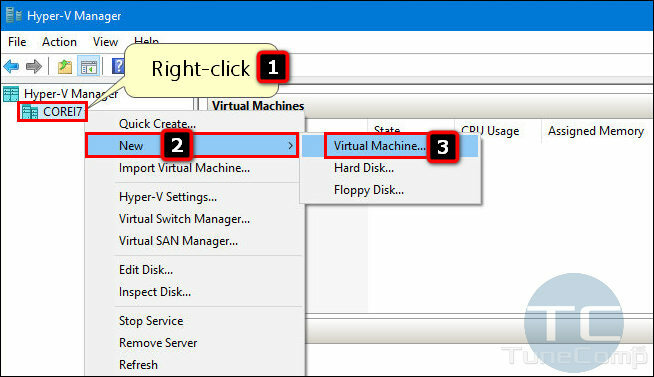 Just delete the current VM and start with the 1st step of this guide again. And will be just fine! 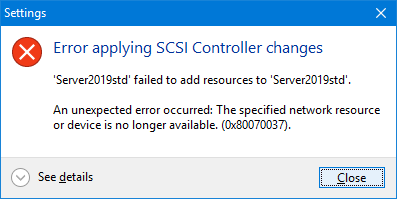 Ok, let’s return to the recovery of your Hyper-V guest machine. Specify the amount of RAM. You can allocate the amount you wish – no need to remember how much RAM the machine had before you destroyed it. I recommend to assign at least 4 GB for Windows 10. Select a network switch and click Next. It is also not so important cause you will be able to change this setting at any time later. 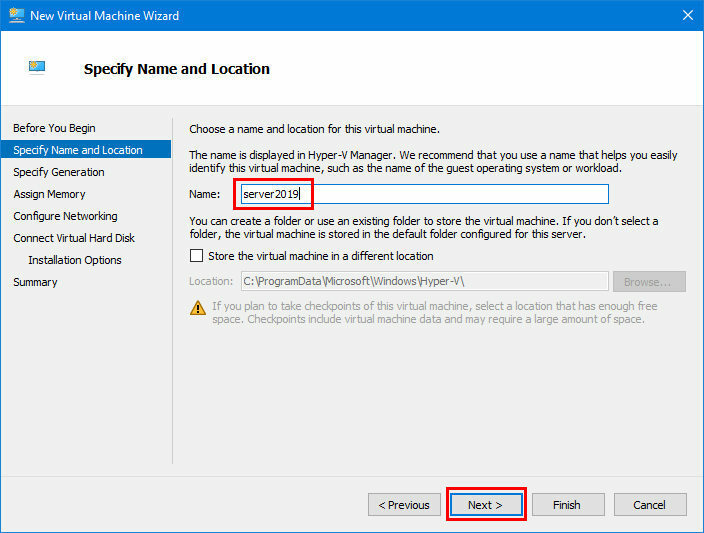 Now you should be able to see your “old new” machine in the Hyper-V Manager. Start it! It should boot and work fine! 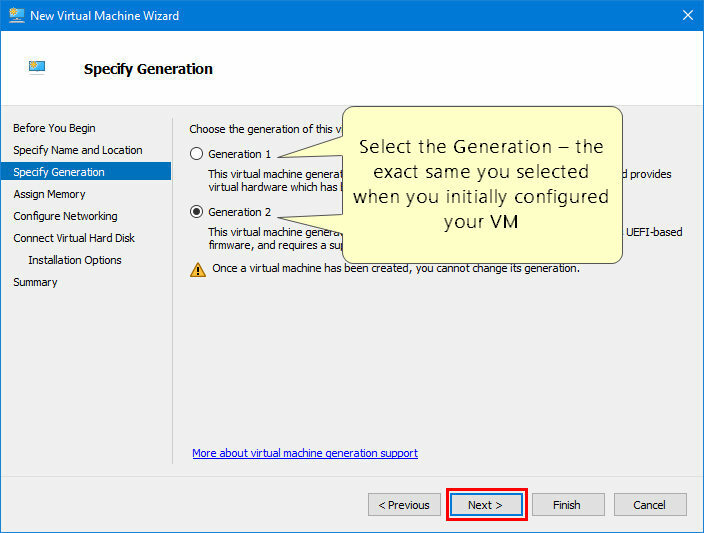 As I said above, if the VM won’t boot, you are likely to have selected a wrong generation. You should create a new one from a scratch and try to choose a different generation. to select the correct generation of guest machine. the virtualization is enabled in the BIOS. 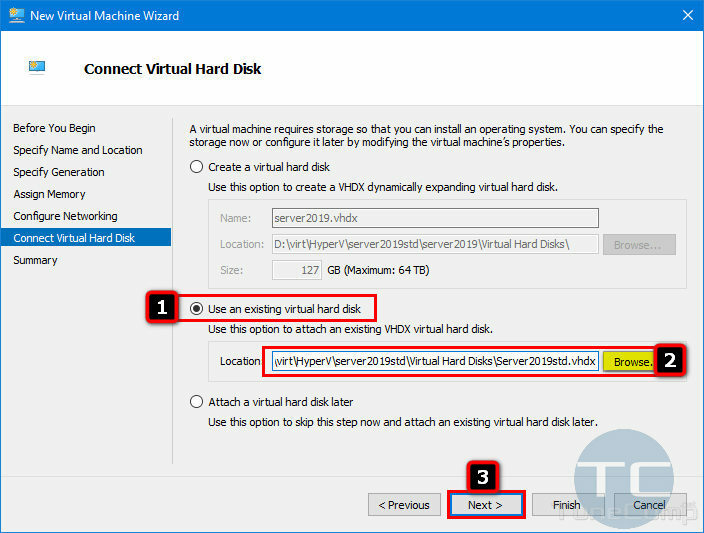 Did you manage to restore your virtual machine from an existing VHDX-file and fix Error applying SCSI Controller changes? Please, drop a line in the comments section.